This page shows some of the popular Cabinet decision highlights in 1980. In March 1980, the Chief Minister presented a submission to Cabinet for the establishment of a university to meet the needs of local matriculants and to promote a regional involvement with neighbouring South East Asia. The submission was prepared by a joint committee of the Department of Education and the Darwin Community College. The committee recommended a multi-college/university organisation to be developed from the existing college, as had been done with the universities of Alaska and Hawaii. It was suggested the university could expand on courses already existing or planned for the Community College, provide a focus for Asian studies, and conduct research to help the NT public service and the development of the Territory more broadly. Specialisations might include developing sparsely populated areas, tropical development, solar, wind and tidal power, natural disasters, tropical agriculture, pastoralism, appropriate technology for arid zone development and Aboriginal studies. Cabinet endorsed in principle the establishment of a university and agreed to the engagement of a consultant in educational administration, Professor W.G. Walker, to prepare a detailed brief on developing a tertiary education system similar to that of Alaska. Read the Cabinet decision - submission number 959 and decision number 1117 of 26 March 1980 (3.4 mb). Professor Walker provided an interim report in July 1980 and a final report in September 1980 dealing with matters such as the special role of community colleges, research directions, residential needs, Aboriginal programs, developments in regional centres and external studies. On 5 November 1980, Cabinet approved the release of the Walker Report to give interested parties an opportunity to comment on the recommendations. Read the Cabinet decision - submission number 1165 and decision number 1370 of 5 November 1980 (8.9 mb). 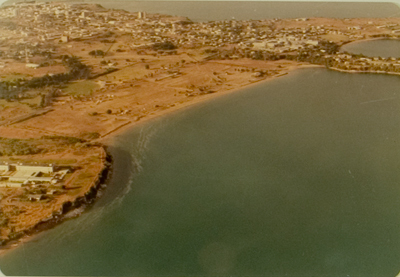 In September 1980, Cabinet considered a proposed site for the university, and looked at the advantages and disadvantages of four sites, which were East Point, Lee Point, Brinkin and Palmerston. Cabinet approved the university be in Palmerston, and decided that the specific site would be determined by Cabinet following a more detailed investigation. Read the Cabinet decision - submission number 1076 and decision number 1316 of 17 September 1980 (5.5 mb). Read the Cabinet decision - submission number 1242 and decision number 1457 of 4 December 1980 (2.1 mb). On 21 November 1980, Cabinet approved a broad plan for the development of Palmerston including the need to program headworks, private residential areas and government facilities on the basis of commencing three new suburbs each from 1981 to 1982. This included a commitment to the early establishment of a major retail shopping area, local water access to East Arm, the construction of the Frances Bay arterial road and the provision of substantial government employment centres. Cabinet also approved the establishment of a Palmerston Development Authority with responsibility for the project’s policy and financial management. Operational control of Palmerston’s development was handed to a project team which reported to the Authority. The project team was charged with a range of functions including broad scale physical planning and design, dealing with planning matters for presentation to the Authority, project programming, liaison with government instrumentalities and private developers, preparation of promotional material to inform the public and investors, and development of comprehensive costings for the project. Read the Cabinet decision - submission number 1223 and decision number 1434 of 21 November 1980 (7.3 mb). 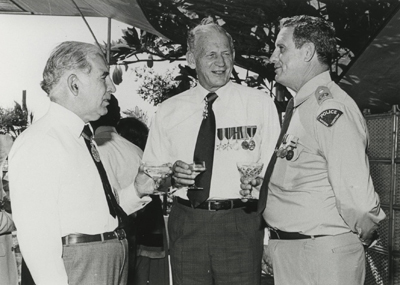 In March 1980, Cabinet considered a proposal for a combined police and emergency services headquarters at Berrimah in Darwin at a total cost of $10.17 million. The submission noted that the bulk of policing of the Darwin area and immediate region was provided from two major stations, being Darwin city and Casuarina. Support and executive services were housed in a range of buildings, most of which were leased from the private sector. It was seen as timely to consolidate the many functions into one central area, with shop front enquiry stations located in the city, suburbs, Darwin East (Palmerston) and rural areas. Cabinet approved the construction of a police headquarters/support facility adjacent to McMillans Road in Darwin. Cabinet also endorsed the concept of centralising Darwin and Darwin East police and emergency services base facilities in one area with the servicing of the day-to-day needs of the community from decentralised “shop front” premises. Read the Cabinet decision - submission number 939 and decision number 1097 of 5 March 1980 (5.1 mb). Later in the year, a revised cost estimate indicated the project was likely to need an extra $1.3 million in funding. Various options were put forward for managing the increased costs, including staging of the project. However, Cabinet agreed that the new police headquarters complex be built in one stage at an estimated cost of $11.5 million, and that it be included the 1980 to 1981 Design List. Read the Cabinet decision - submission number 1260 and decision number 1477 of 16 December 1980 (1.3 mb). In 1979, Cabinet had considered if the date of Fireworks Day should be changed from Guy Fawkes Day in November, but had decided not to change the timing of the event. Cabinet considered a further submission on this matter in February 1980 which argued that Self-Government Day was a more relevant celebration than Guy Fawkes Day and that 1 July offered more “clement weather” than November. July 1 was also a date favoured by the Lions Club which had been providing pyrotechnic displays on Cracker Night as part of the club’s commitment to eyesight conservation. It was noted that fireworks celebrations in July would coincide with the tourist season and Darwin’s Bougainvillea Festival. Around this time, other states were moving towards a prohibiting the use of fireworks by the general public due to the “high number of injuries and damage cases resulting from the mis-use of fireworks”. The submission reported that the Bushfires Council, the Fire Brigade and the Firefighters Association did not support the public firing of fireworks due to the fire risk, and pointed out that the fire hazard throughout the Territory would be greater in July than in November. A number of options were put forward, including a total prohibition on the sale and public use of fireworks while allowing controlled displays, permitting the sale of fireworks on 1 July only, continuing with the existing November celebrations, or permitting the sale and public use of fireworks on both 1 July and the Saturday nearest to 5 November. Cabinet decided to put in place a trial period during which the sale and use of fireworks to commemorate Guy Fawkes Day would continue and, in addition, interested service organisations would be permitted to stage fireworks displays on 1 July 1980. Cabinet indicated that this policy should be re-assessed early in 1981. Read the Cabinet decision - submission number 880 and decision number 1050 of 7 February 1980 (597.2 kb). In October 1979, Cabinet had identified the needs for an NT regional airline, including provision of a suitable level of air services for small communities at a reasonable price without subsidy. A regional airline was seen as improving the Territory’s interstate and overseas tourist market and would help meet travel demands of Territory residents. Cabinet considered there should be daily services linking Darwin and Katherine, Darwin and Gove, Alice Springs and Tennant Creek, and Alice Springs and Ayres Rock. It decided on at least five services a week linking Darwin and Groote Eylandt. Read the Cabinet decision - decision 902 of 17 October (1.5 mb). At that time, control of civil aviation in the Territory rested with the Commonwealth Government. Until such powers were handed over, the Territory did not have the power to implement Cabinet’s decision. Following an expression of interest process, in January 1980 Cabinet directed that a regional airline be established under a Memorandum of Understanding (MOU) with East-West Airlines. Cabinet requested advice outlining the implications of the MOU, details of amendments to the Aviation Act, and progress in the transfer of the necessary aviation powers from the Commonwealth to the Territory. The MOU between the Government and East-West Airlines was signed that same day. Read the Cabinet decision - submission number 847 and decision number 1047 of 23 January 1980 (4.5 mb). Only a few weeks later, on 10 February 1980, Cabinet approved urgent drafting of legislation to provide for Regular Public Transport licensing issues to be determined by the minister, and approved introduction of the legislation in the February 1980 Sittings of the Legislative Assembly. Read the Cabinet decision - submission number 916 and decision number 1070 of 10 February 1980 (3.8 mb). On 9 September 1980, Cabinet approved signing of a further MOU between the government, Northern Airlines and East-West Airlines on the basis that a level of service not less than that existing at the date of the signing of the MOU would be provided to those communities previously serviced by Northern Airlines and between communities at that time serviced by Ansett and TAA. The level of service needed was not to in itself result in an increase in airfares. Read the Cabinet decision - submission number 1059 and decision number 1308 of 9 September 1980 (191.5 kb). The agreement also provided for favourable consideration by the government of a request for guarantees to support financial requirements of the airline. Northern Airlines applied to the government for financial assistance with the acquisition of a number of aircraft. Cabinet approved negotiations for the grant of guarantees under a set of strict conditions with the terms and conditions to be referred back to Cabinet for final approval. Read the Cabinet decision - submission number 1125 and decision number 1318 of 22 September 1980 (3.3 mb). 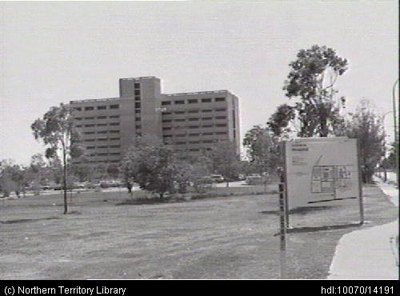 May 1980 saw the transfer of acute patients and various hospital facilities from the old Darwin Hospital at Myilly Point to the new Casuarina Hospital, with chronic patients the only ones remaining at the old Hospital. Alternative uses had to be found for the unoccupied wards and buildings at the old facility. Cabinet considered uses such as a private hospital, government or private accommodation, such as a hostel or hotel, and longer term re-commissioning the buildings for a second Darwin hospital. allocation of buildings for other uses following the transfer of patients to the Casuarina Hospital facilities. Read the Cabinet decision - submission number 1034 and decision number 1207 of 21 May 1980 (2.2 mb). In May 1980, Cabinet considered a proposal for the construction of a recreation lake on the Todd River near the Old Telegraph Station. Cabinet was advised there was strong public support for the proposal, and international consultants Dames and Moore had been commissioned to do an environmental impact review. It was proposed that Mr Harry Butler, a well-known Australian naturalist and environmentalist, review the consultants’ final report. The consultants’ draft report expressed two key reservations. The first was the area under consideration included Aboriginal sacred sites and the second reservation was that the usable life of the lake was affected by the rate of siltation. In relation to the sacred sites concerns, Cabinet was advised that the Central Land Council, traditional owners and the government’s Aboriginal Liaison Unit had reached an agreement that the sacred sites should not be removed and would be permitted to be flooded in situ. Regarding the siltation issue, the consultants suggested that more sedimentary studies be carried out to better understand the issue, but concluded there were no insurmountable problems in constructing the lake on the proposed site. The proposed lake would cost about $3 million and was expected to cover an area of 92 hectares when full and 60 hectares for the majority of the time. Cabinet approved that a recreation lake for Alice Springs be placed on the 1979 to 1980 Design List and given priority. Read the Cabinet decision - submission number 1032 and decision number 1205 of 21 May 1980 (1.4 mb). In January 1980, the Cabinet was concerned about the effects of possible short term fuel supply shortages. They considered a proposal to provide additional storage capacity for liquid petroleum products in the Territory. The submission noted that, in addition to the seaboard logistics problems, the world energy crisis had created an unstable situation in the supply of crude oil and some petroleum products, and that short term petroleum shortages could occur while alternative supplies were being negotiated. The International Energy Agency recommended a national storage capacity sufficient for about 90 days normal requirements. It was suggested this would be a desirable level of regional buffer reserves in the Territory. requested that relevant Departments prepare a detailed proposal for submission to Cabinet. Read the Cabinet decision - submission number 878 and decision number 1023 of 9 January 1980 (1.0 mb). In the early years of self-government, the development of a marina complex in Darwin was identified as a planning initiative for government following representation from various interested bodies. The Department of Transport and Works commissioned a consultant to report on suitable sites as stage 1 of the project. The report concluded there was a need for a marina in Darwin to provide for existing and future pleasure boating activities and that more investigation was needed to plan the size and type of the facilities needed. The report noted the basic needs for a marina in Darwin. These requirements included a place where boats could be kept afloat during low tides, areas for maintaining, repairing and supplying vessels and provision for car parking. In addition to these basic needs, club-type facilities and a restaurant would promote usage by all sections of the community and so improve economic viability. The report assessed a number of sites, which included Rapid Creek, Ludmilla Creek, Vesteys Beach, North Mindil Beach, Mindil Beach Casino, Doctors Gully, Frances Bay, and Sadgroves Creek. Two sites in particular had advantages over the other sites, being Vesteys Beach and the North Mindil Beach sites. Of these two, the most desirable location was identified as being the southern end of Vesteys Beach. The report recommended that a topographical survey be carried out on the selected site and a preliminary geotechnic report be prepared. It also recommended a detailed study of pleasure boating activities in Darwin to determine a profile of boat ownership, characteristics, usage and requirements, that concept plans be prepared, a cost analysis be undertaken based on the concept plans, and an operational and management budget be prepared to assess economic viability. 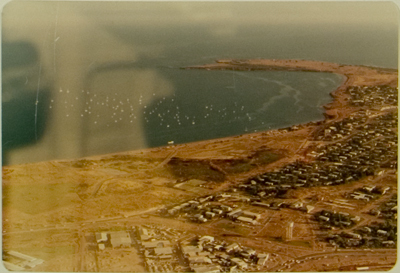 On 9 January 1980, Cabinet approved the selection of Vesteys Beach as the site for a marina complex subject to discussions and site approval by the Corporation of the City of Darwin. Cabinet agreed to proceed to stage 2 subject to discussions and site approval by the Darwin City Council. Stage 2 would consist of engineering criteria, preparation of conceptual plans, preparation of estimates, costs and methods of operations, along with a biological impact study to take into account environmental factors affecting the selected site. Stage 2 would also include consultation with nearby residents to gauge reaction to a marina development. Read the Cabinet decision - submission number 881 and decision number 1026 of 9 January 1980 (15.6 mb).